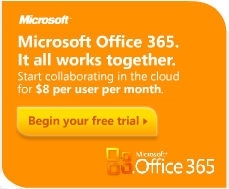 Sign up for an Office 365 Trial "Discount in affect"
#1 one asked question is... What is the difference between the two programs. #1 Answer we give is... Paperworks has the exact same user experience as eCopy Desktop software versions 8.x and 9.x. PDF Pro is more powerful yet not as easy to use. If you are an eCopy Desktop user you will be happier with Paperworks. Welcome to our web site. 5thNK pronounced 5th and K has customers worldwide. 5,000 plus eCopy Paperworks and eCopy PDF Pro licenses sold. Free Delivery, Free install, Free Training. 1992 is when eCopy Inc the company started. We were there, and here we are still. 2009 is when Microsoft introduced BPOS. We were there and here we are still with Microsoft Office 365. We have customers Worldwide. Finally we have found it easier to "be found" by search engines like Google, Bing, Yahoo, by having different web sites represent our solutions. Thus the different web sites. 5thNK is a street name in Auburn WA in the US of A. As kids... "hey you want to play at 5th and K"?